The issue of seniors and housing has been stealing the headlines for many years now. People work hard all their lives, earn enough money and then end up living miserable lives when they are done with their employment. These cases can be partly attributed to poor planning, but when looking at it critically, you will see that lack of information also has a part of the blame to shoulder. The matter of senior housing is very crucial since it serves as an appreciation to the old people and what they have done for their entire lives, be it for the good of the family or the country. It is very common to find a group of families sweating over the best way to house their aging parents or loved ones. Many of these struggles are brought about by the financial aspects of the whole housing market. Not every old person saves for their retirement, and in such cases, the children and loved ones are obliged to cover them financially. This is quite hard for some people since most adults also have their responsibilities to take care of. The additional financial obligations of taking care of monthly housing costs for your parents or loved ones puts tremendous pressure on the person who gets the financial burden. Veterans who have been serving the nation in the various positions available do not need to worry as much about their housing when they retire since they have several benefits available to them through the U.S. Department of Veteran Affairs. These benefits can effectively settle a portion, if not the whole amount, needed to cater for a senior's housing comfortably, including special VA home loans for veterans who purchase a home. These benefits are well deserved for veterans since the amount of devotion and sacrifice they give to their country is something that's invaluable. The benefits at stake are not only limited to the housing but also to other matters such as welfare and burials among others. One particular group of veterans who deserve a lot of appreciation is the group of former Armed Forces. These people put their lives on the line for the sake of the nation. According to the statistics, there are just over twelve million veterans in the United States. A person is considered a senior after surpassing the age of sixty-five. A person is considered a veteran when they have served our country in the Armed Forces of the United States, which includes the Navy, Army, Coast Guard and Marine Corps, and they were discharged other than dishonorably. There is no age requirement to be considered a veteran. Luckily for veterans, there is a dedicated Department of Veterans Affairs in the United States tasked with taking care of the veterans. One major concern associated with veterans is their health which is often adversely affected whenever they are on duty. In the US, examples of benefits available to the people who have served in the military include: Veteran pension, education and training, healthcare, insurance, home loans, vocational rehabilitation and disability compensation among others. The mentioned benefits are just a few as there are several minor benefits that veterans are entitled to as well. Seniors are susceptible to several conditions that derail their ability to go about their day to day activities regularly, and seniors who are also veterans must be given special consideration. The Department of Veteran Affairs considers all these aspects and the more one needs assistance in living their life, the more they can potentially get compensated. The Department of Veteran Affairs works close with several health service providers. This is paramount since one primary concern when dealing with seniors who are veterans is their health. They reduce the hustle needed to find the perfect health care for a veteran senior by offering the health care themselves or referring them to some of their programs. Accessing these benefits calls for some level of eligibility. Many people serve their nation, and it is important to establish the individuals who need this assistance the most. In a bid to solve this, the Veterans Affairs Department has set several priority levels to assist in allocating these funds. These levels are determined by observing things such as the income level of the person in question, their position and when they served the country. Assessments are required before one is allocated a priority level. This evaluation also determines if the veteran needs the free help or not since it will be pointless helping a financially steady veteran who doesn’t need the help while others miss out. The veteran must need the help of another person when it comes to daily living activities (ADLs) such as getting dressed, taking a bath, going to the bathroom, eating and others. The veteran has very poor eyesight, namely both of their eyes have 5/200 visual acuity or less. Alternatively, they have an extremely bad concentric contraction of the visual field of just 5 degrees or less. For the Homebound benefit, whenever a veteran must stay inside their home due to their physical condition which has resulted in permanent disability, an additional benefit is added to the veteran's pension every month. Paying for senior housing for veterans can be made easier with the inclusion of these benefits. It should be noted that these benefits are exclusive to veterans who have served in the Armed Forces of the U.S. However, other seniors serving in other sections of the government and other organizations are also entitled to various types of benefits. Although the benefits may not be very significant when compared to the ones offered by the military, they will still help a senior live well. At SeniorGuidance.org, we have done all of the research for you and have listed all the benefits, waivers and programs available for seniors when it comes to senior housing. Simply browse by the state where you live to find appropriate senior assistance programs for you or your loved one. 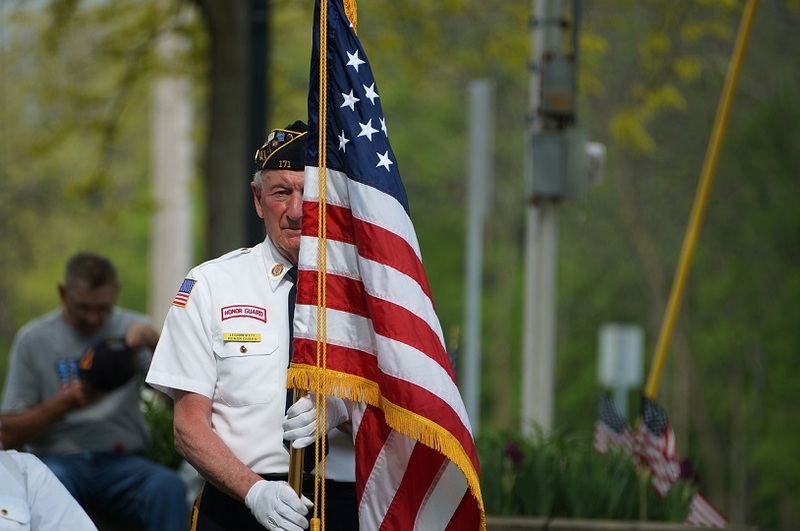 The scope of the senior veteran housing extends beyond the financial matters. Several concerns come into play and getting the right balance is the hardest thing to do. Old people become more complicated and sensitive with each passing year, and the older one is, the harder it is to deal with them. Informing Veteran seniors about the best thing for them is often met with a harsh response. The best thing to do is to start telling them early enough so that by the time they need to be moved into an assisted living facility or a nursing home, they are well prepared to deal with the change.